The mere mention of caves conjures up images of dark dingy places filled with bats and rodents and so most people never try to explore caves any further. However, these caves are very different from popular perception. Formed by the action of water on rocks and chunks of limestone, these caves are some of the most beautiful in the world. This is one of the largest caves in the world and is especially remarkable because of the way it has been formed. The name Son Dong Cave literally translates to River Mountain Cave, an allusion to the fact that the cave was formed when a river eroded into the base of a limestone mountain forming a cave system beneath it. Today the cave has more than 150 different networks through which the underground river flows and a thick forest is also thriving inside the cave. Tourism to this remote cave has been privatised and is run by a company called Oxalis which charges $3000 to explore the cave. This cave is also known as the crystal mine cave is one of the most amazing crystal caves in the world because it has some of the largest naturally occurring crystals found to date. This cave was discovered in 2000 below a limestone mine and is open only to researchers, not tourists. This is mainly because the crystals are extremely brittle and the cave is very hot from the heat of the Earth’s core. The crystals are made of gypsum and are believed to be formed when superheated water from deep inside the Earth cooled very fast, thus forming crystals around the gypsum. The largest crystal in this cave is 500,000 years old. This glacial cave is one of the most beautiful caves in the world and is famous for the spectacular ice formations and hues of blue seen inside the cave. It was formed by the simultaneous melting and compression of glacial water which gave the ice its unique texture and trapped air bubbles make the ice transparent and reflect light at different angles. Visiting the cave in summer is dangerous because of the melting ice and falling icicles but visiting in winter is a truly unforgettable experience. You will also like to read about deepest underwater cave discovered. As the name suggests, this cave is the home of thousands of glow worms and has the highest population of glowworms in the country. The worms find the dark and moist environment suitable for their growth and visitors can get an amazing view of swarms of flying glow-worms shining in the cave. Bioluminescence, a feature found in very few insects makes glow worms one of the most beautiful insects to observe. Today, this cave is a major tourist attraction and sees hundreds of visitors every year. This limestone cave in the Gombak district of Malaysia was formed by the eroding action of the Batu River that carved its way through the mountain. There are many caves in this area and most are interconnected because of the river water flowing through them. The caves were used as shelters by the ancient tribes living in this area and today many of them are Hindu temples. The most famous one is located in the main cave which is also one of the largest and tourists have to climb up 272 steps to reach the temple. These are the holiest and most popular Hindu temples in Malaysia. The sparkling electric blue waters of the Portuguese are enough to lure in any visitor but for those who need more incentive to visit the country, the Algarve coastline offers some of the unique geological formations and caves in the world. 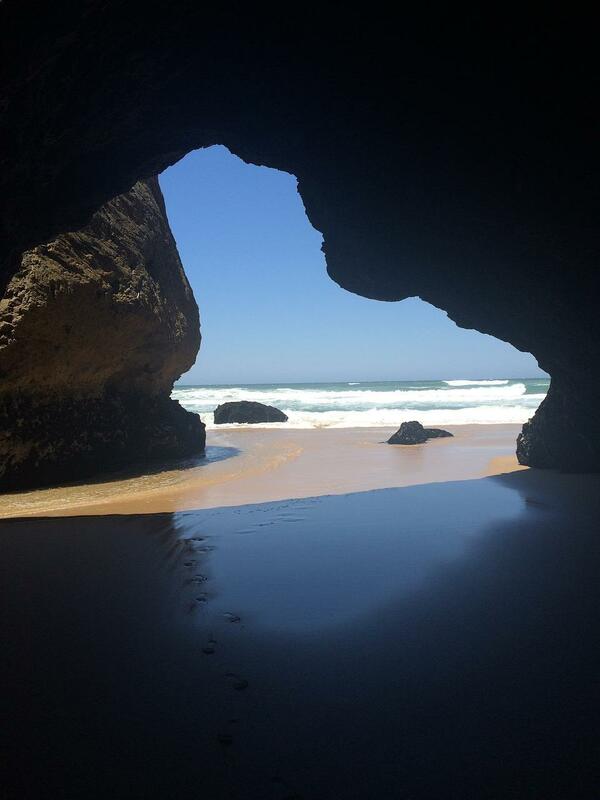 These caves located on the beaches of Algarve have been formed because of the erosion of stone by the constant action of waves. These caves can be reached only by boat and have three openings. The large hole on top functions as a skylight and lets in sun rays that fall on visitors marvelling the cave and the water below. This network of caves is located along the Chile-Argentina border in the remotest part of South America. As the name suggests, these caves have been formed in General Carrera Lake due to the constant erosion of marble over thousands of years. This region today has some of the largest marble deposits in the world. This cave is on the list of the most incredible caves in the world because of the breathtaking visual effects that visitors can witness when they visit the cave. Sunlight falls on the white marble and reflects into the turquoise blue waters creating a shimmering effect. Water levels differ according to the season and time of day so you are guaranteed to get a different view each time you visit. This cave is situated in Northern Thailand and is one of the most amazing sites in the world because of the carvings by ancient tribes that are visible till date inside the cave. In fact, this cave was inhabited for a long time by the Lawa people of Thailand and archaeologists have found remains of tools and pottery fragments to suggest that they had built a home in this area. This large cave is located deep inside the forest and there are small walkways to guide tourists to the cave. It has many stalactites and stalagmites as well as a plethora of bird species. This cave located in the Guilin district of China is one of the most popular tourist attractions in this area and has had this distinction for thousands of years. The cave was used by the Tang dynasty as indicated by the ink inscriptions found recently by archaeologists but was ‘lost’ for several hundred years until it was rediscovered in the 1900s by a group of Chinese troops. Inside the cave, there are marvellous rock formations and stalactites and stalagmites. Some areas of this cave also give off a strange luminescence which further adds to the allure of this cave. This cave is close to the Lebanese capital of Beirut and consists of two separate and interconnected cave systems carved out by an underground river by eroding the surrounding limestone. This cave has many stalactites and stalagmites as well as shallow blue waters. Reaching this cave is possible only by boat as the underground river is not navigable by any other method. This cave shows signs of being used in prehistoric times but it was not known for a long time until it was rediscovered in the 1830s. Today, this cave is a go-to destination for those seeking some adventure. The beautiful waters, spectacular stalactites and stalagmites, skylights and bioluminescent insects differ starkly from the popular perception of caves. Peppered all around the world, these magnificent caves must be on every adventurer’s travel list.